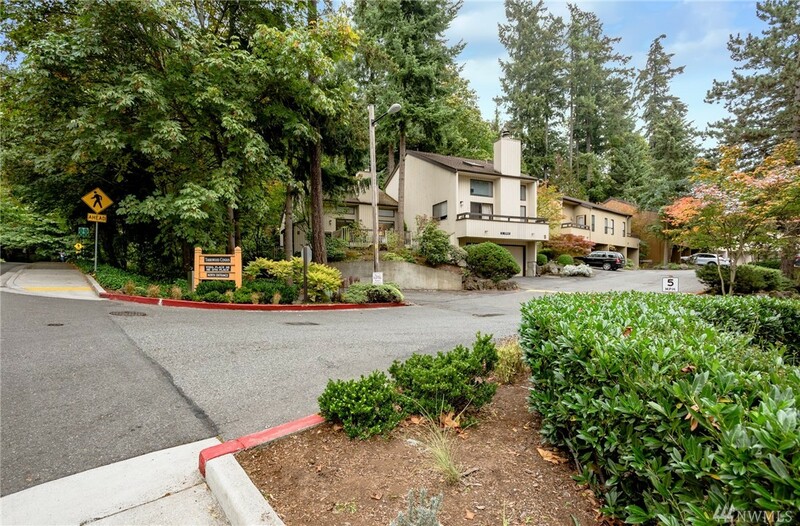 Bellevue's best kept secret! 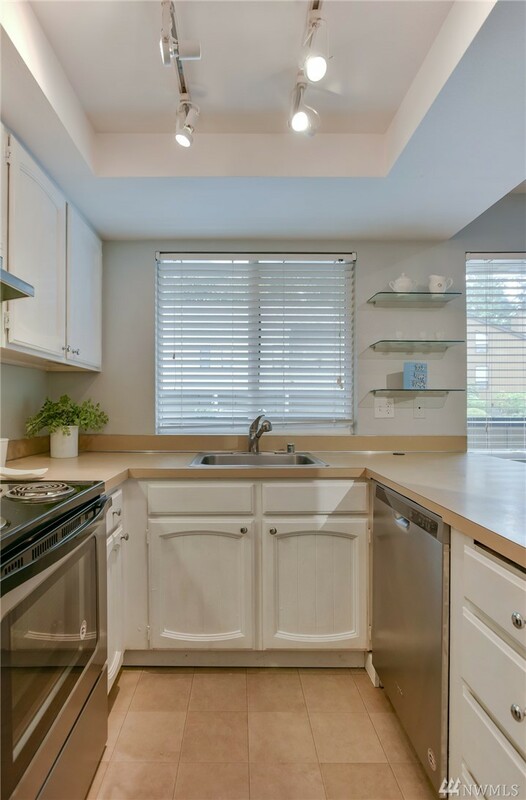 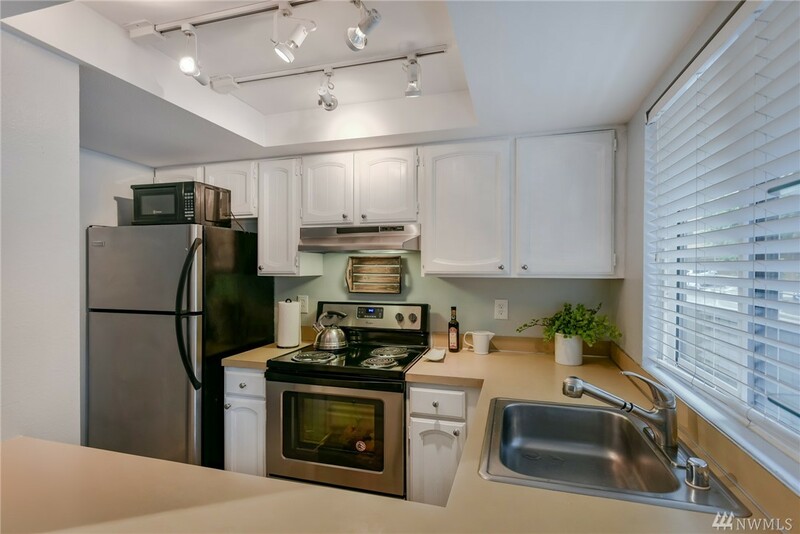 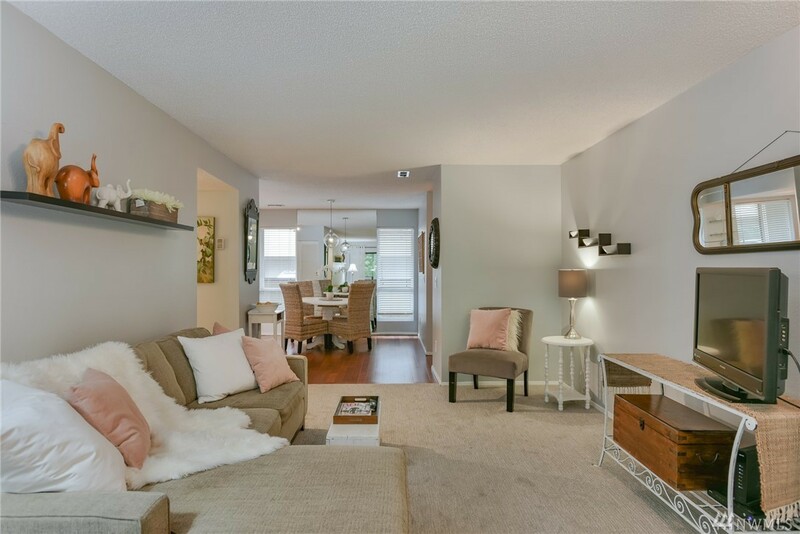 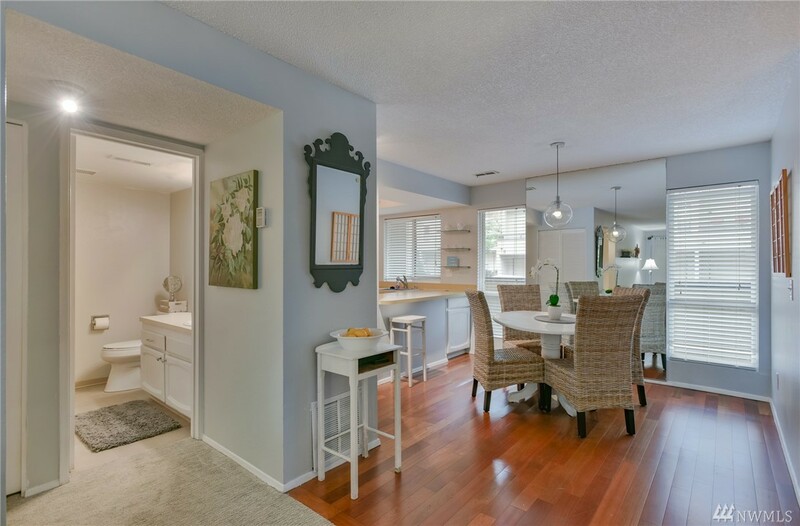 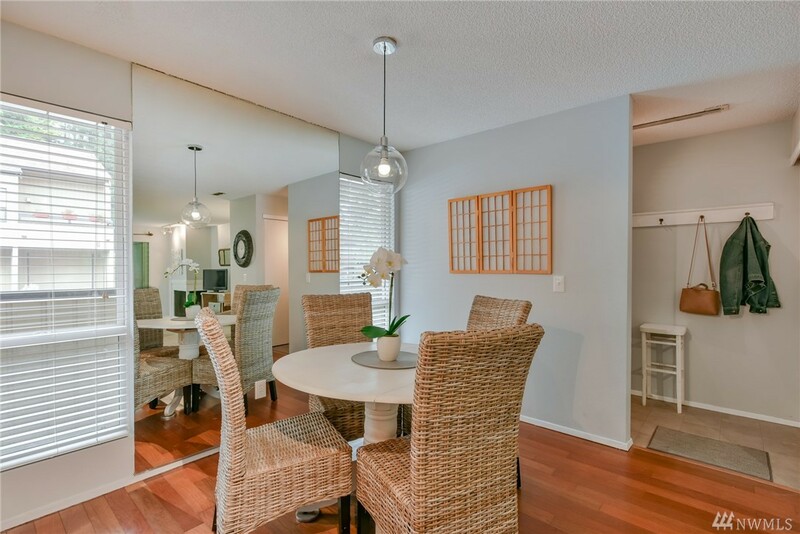 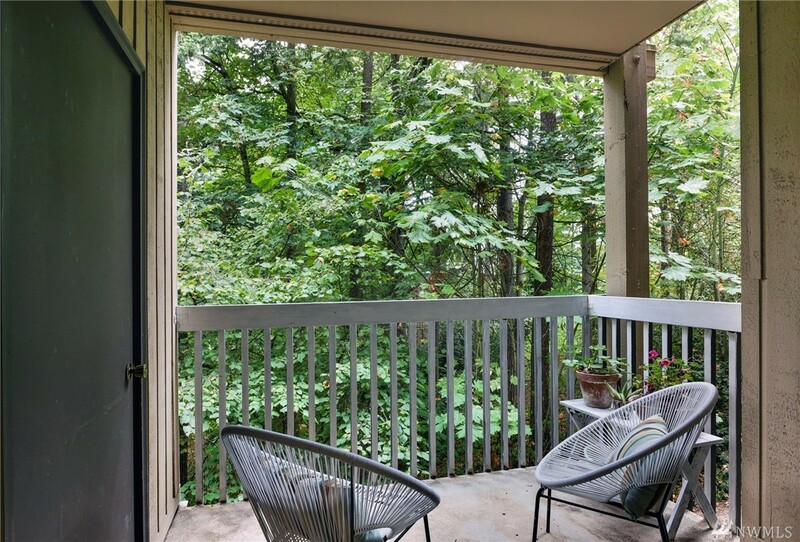 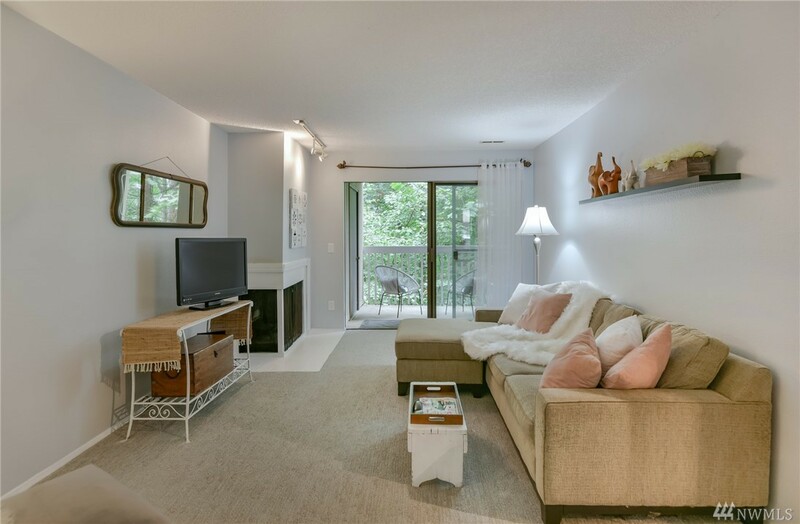 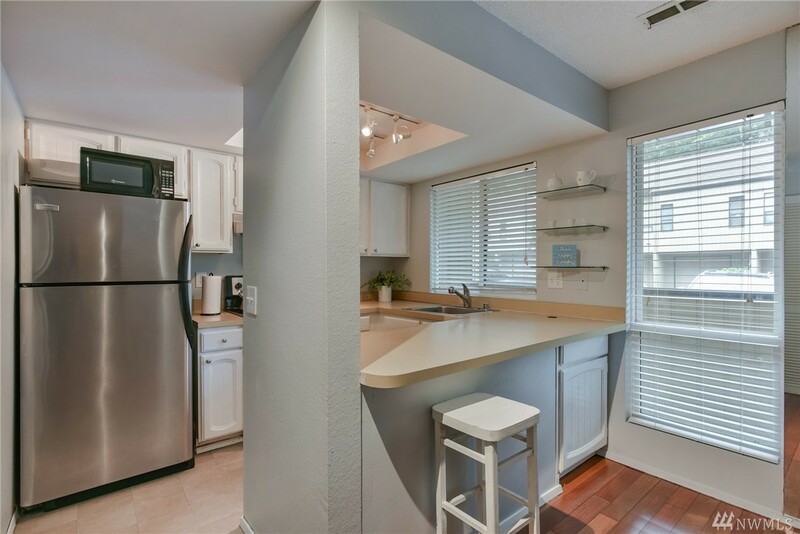 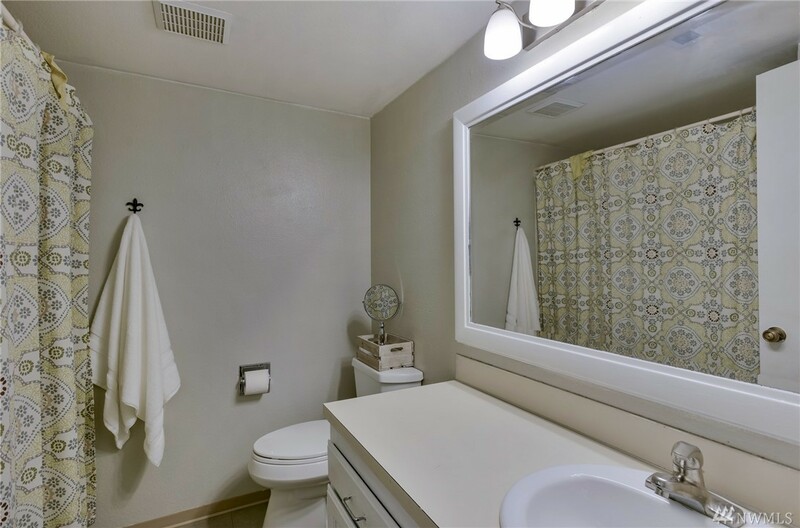 This beautifully appointed 1 bed, 1 ba condo in Yarrowood community is a move in ready. 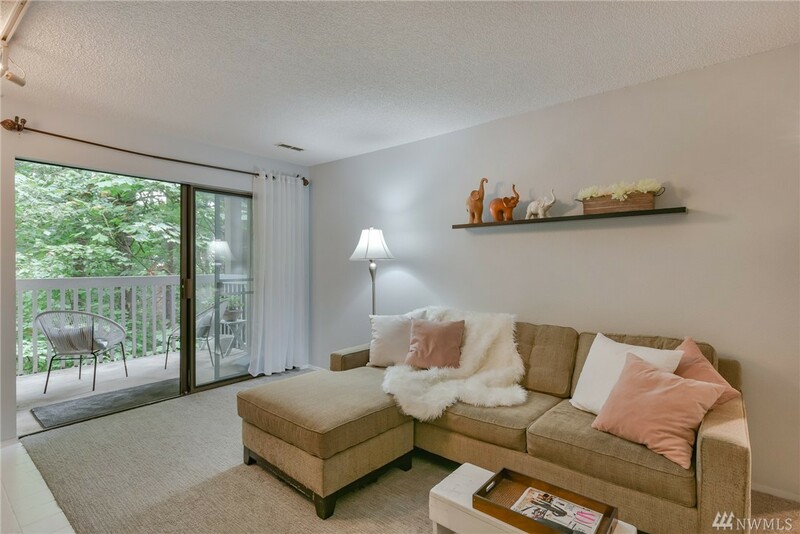 Easy access to I405, 520. 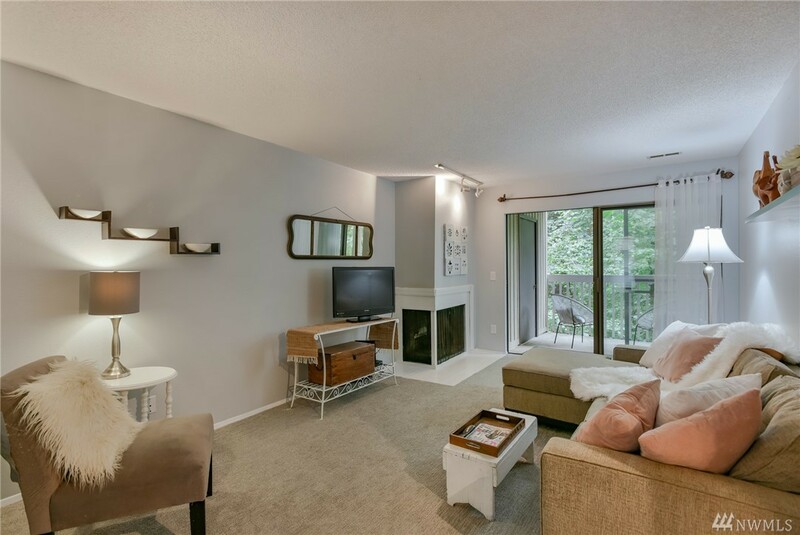 Short distance to downtown Bellevue & Kirkland's waterfront. 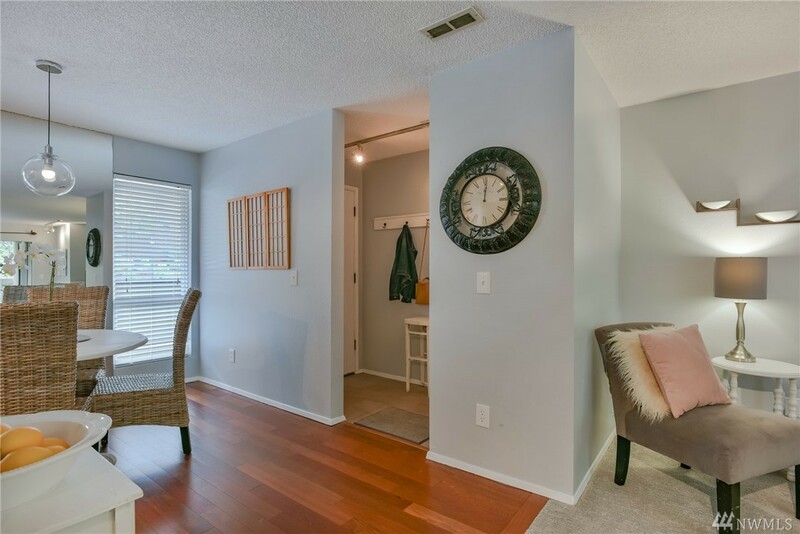 Updated vinyl windows, wood burning fireplace, brand new carpet, flooring dishwasher & range,. 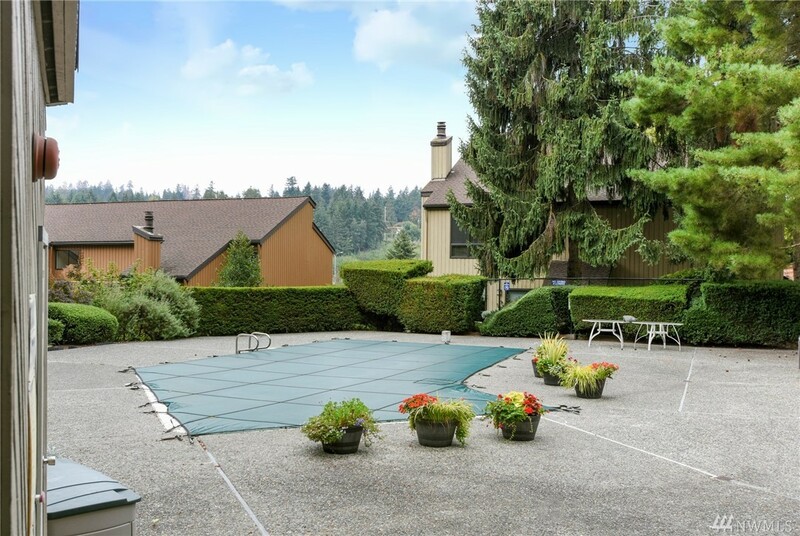 Community rm w/game rm, outdoor pool, tennis court and strong HOA. 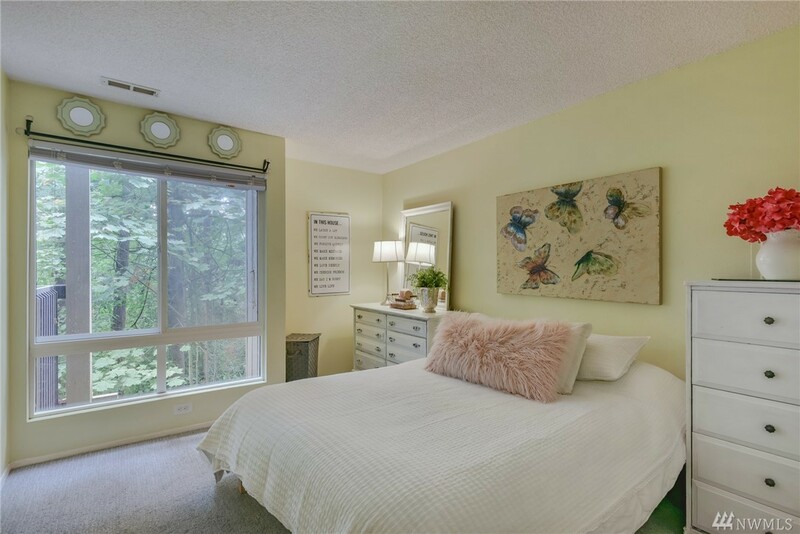 This home has covered parking and a large deck w/storage (not ground floor) that backs to a lush greenbelt for lots of privacy.